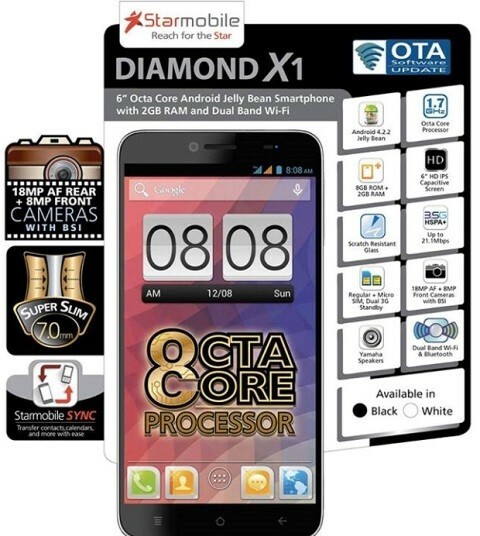 The Starmobile Diamond X1’s complete specifications and features has finally been revealed. As expected, its features are eye popping and jaw dropping for a local smartphone. In a gist, the Starmobile Diamond X1 features a nice 6-inch HD IPS display, powered by an Octa Core processor and comes with 18MP rear + 8MP front BSI cameras. Check out the rest of the specifications, price and availability below. Out of the box, the Starmobile Diamond X1 runs on Android 4.2.2 Jelly Bean and is powered by a MediaTek MT6592 Octa Core processor clocked at 1.7GHz. The OS is upgradeable via OTA (over the air). 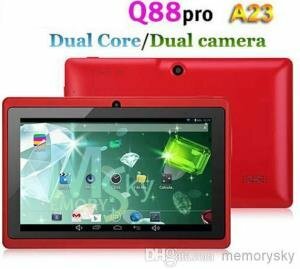 The processor is paired with 2GB of RAM and a Mali 450MP4 as its graphics processor. It sports a nice 6-inch IPS HD capacitive touch display at 720×1280 resolution and 425 pixel per inch density. Too bad it’s not full HD yet. The glass on the display is scratch resistant as well. It has 8GB of internal storage (which I am somewhat disappointed), and a microSD slot supporting up to 64GB microSD capacity. The Starmobile Diamond X1 also features an 18 megapixel rear facing BSI camera with autofocus and LED flash. And it is paired with an 8 megapixel front facing camera, also with BSI technology. The Starmobile Diamond X1 features a dual-band WiFi 802.11 b/g/n wireless connectivity with Bluetooth, and supports 3G and HSPA+ networks up to 21.1Mbps connection speed. It supports a regular and a micro SIM with dual 3G and dual standby. I don’t have the specific dimensions yet, but it is said that it’s only 7.0mm thin. Meanwhile, Starmobile has yet to disclose its battery capacity. But I do hope it’s at least 2300mAh, considering it has a large display and an octa core processor. The Starmobile Diamond X1’s suggested retail price is still unknown yet. But considering the specs and features given, I would estimate that its price would be around Php 13,000. Don’t expect that this will have a PHp 10,000 or below price tag, because there is a high possibility that it won’t happen, unless Starmobile will be offering discounted price. It is also expected that the Starmobile Diamond X1 will be released by third of fourth week of January 2014. Expect that it will be available nationwide anytime soon.